June 2017 Newsletter: AABC, Inventor of the Year, and New Website! - Rochester, Gates-North Gates, Greece | NOHMs Technologies Inc.
NOHMs is presenting high voltage and safety oriented electrolyte progress in EV prototype cells at AABC in San Francisco this week June 20th-22nd. If you are attending AABC, please stop by! "For 17 years the Advanced Automotive Battery Conference has attracted international thought leaders and battery technologists from major automobile makers and their suppliers to discuss key issues impacting the technology and market of advanced vehicles and the batteries that will power them... the need to develop batteries with better performance and lower cost has never been stronger." NOHMs CTO Nominated RIPLA Inventor of the Year! 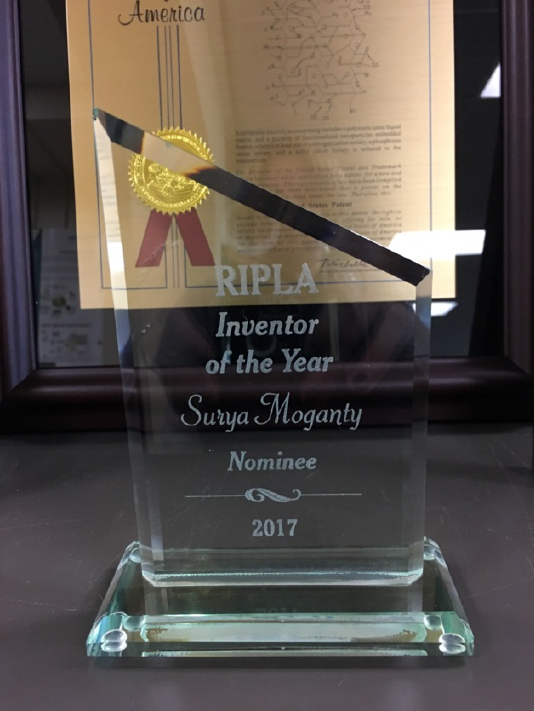 Dr. Surya Moganty, CTO NOHMs Technologies, was nominated Inventor of the Year by the Rochester Intellectual Property Law Association (RIPLA) for his contributions and excellence to lithium ion battery technology advancement at NOHMs Technologies and Cornell University. "RIPLA's primary objectives include the promotion of science, industry, and the useful arts by promoting proper administration of the patent, trademark, and copyright laws; to originate, discuss, and aid improvements in such laws; and to cultivate social opportunities among its members and with other intellectual property law associations." 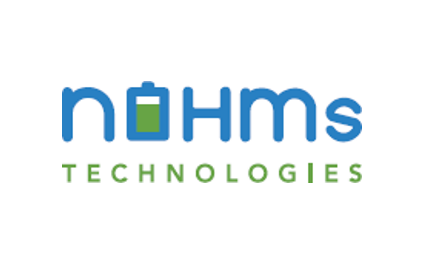 This week, NOHMs published a new website with information on NanoLyteTM HV and NanoLyteTM SF Electrolyte Products for high voltage and safety oriented lithium ion battery cells. This is Beta version. Thank you for patience as we continue to add in the coming weeks more information to the website, including information about the management team, industrial partnerships, conference presentation and poster links, and improving the navigation.